Polythene bags and refuse sacks. Products manufactured from 100% recycled material. Products sourced from sustainable resources. Products manufactured by companies adhering to ISO 14001. We would urge all our customers to enquire about environmentally friendly options – every little helps. 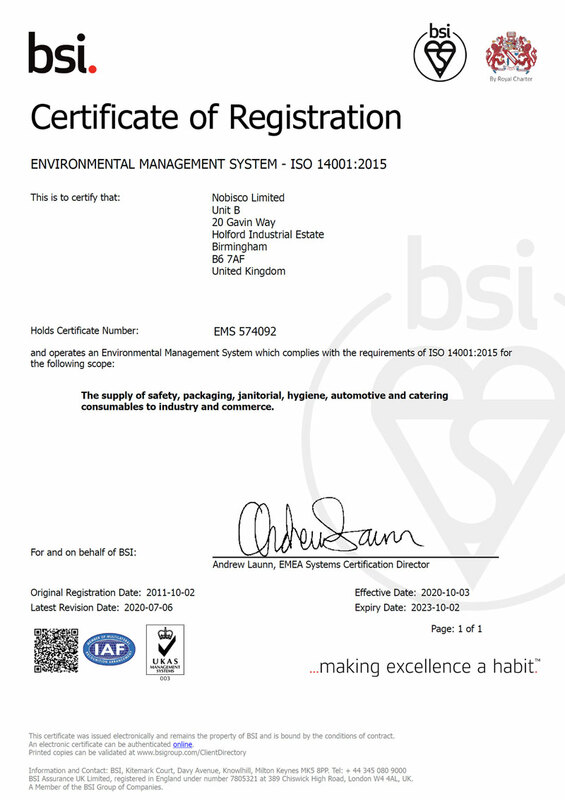 Nobisco is proud to have attained the ISO 14001 2015 environmental standard. Copies of the Nobisco ISO 14001 certificate can be downloaded from the link below. 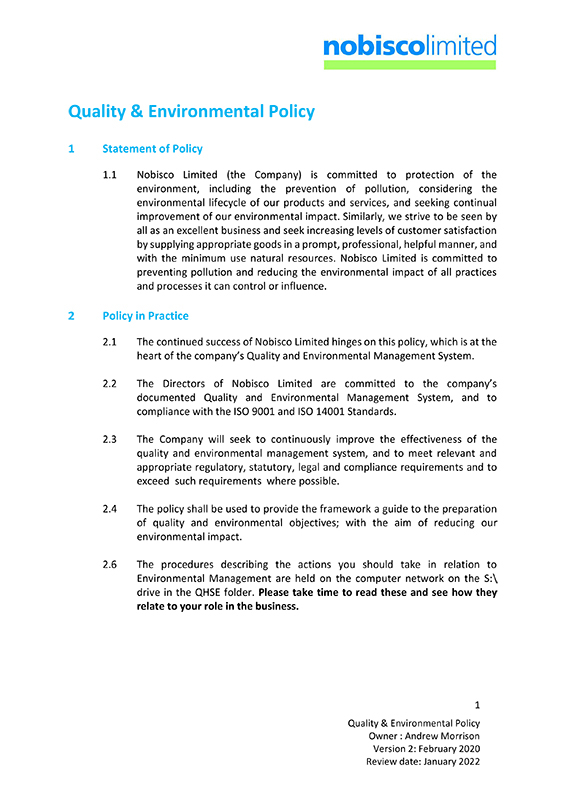 Copies of our Quality and Environmental Policy Statement can be downloaded from the link below.